Ed Moore at Vint Hill Craft Winery. (PRLEAP.COM) July 3, 2014 - NEW BALTIMORE, Va. - The progression of Vint Hill into the vibrant center of the New Baltimore area took a significant leap forward this year as a team with deep local roots, and extensive experience creating communities with a sense of place, purchased the majority of the picturesque property from the Vint Hill Economic Development Authority (VHEDA). Vint Hill's new ownership is committed to transforming the historic property into a charming locale anchored by a small town main street complete with shops, eateries and services that support the surrounding community. Vint Hill will become the focal point of New Baltimore, offering everything a small community needs to thrive: office space for local job creation, a growing commercial tax base, retail stores, restaurants, cultural attractions and a variety of homes. Most importantly, the new elements will fit in seamlessly with the existing community, allowing for progress without altering the historical area's character and rural aesthetics. "Our plan to enhance Vint Hill will be carried out in careful, thoughtful steps that preserve the area's character and charm while enhancing the greater New Baltimore community with much-desired services and amenities," explains Ed Moore, a principal on the Vint Hill ownership team. "We envision fostering a sense of place that helps strengthen the existing New Baltimore community and establishes Vint Hill as its heart, featuring both business and leisure-time opportunities that appeal to both community members and visitors alike." The purchase includes more than 215 acres of land, as well as a number of the existing buildings, the existing water system, lease portfolio, other related infrastructure and personal property. Under the agreement reached with VHEDA, key staff members will join the new organization, ensuring a seamless transition for existing Vint Hill residents and tenants. 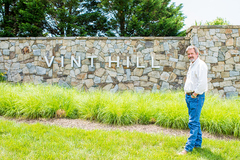 The team that purchased Vint Hill has decades of experience living and working in the greater New Baltimore area. The team is the same one that has led nearby Brookside's emergence as one of the region's preeminent communities. 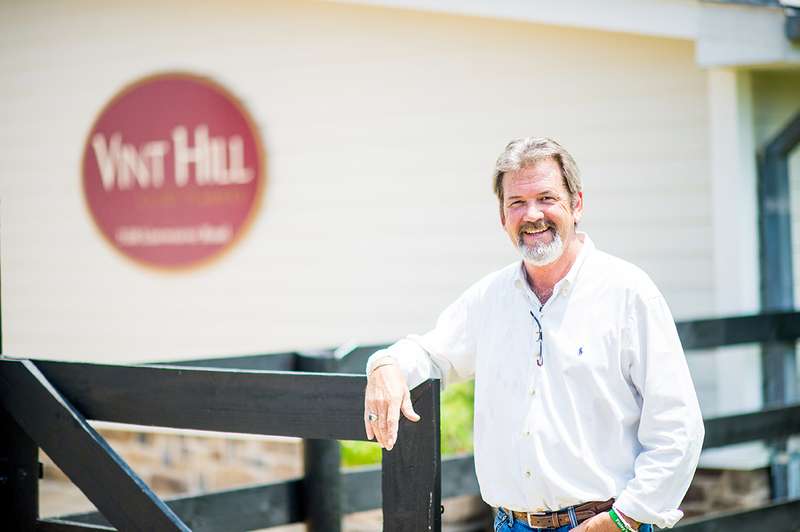 Applying their vision to helping enhance Vint Hill is a logical extension of creating a thriving small town community in New Baltimore-one that offers ample opportunities to live, work and celebrate within it. "Vint Hill's history includes several notable chapters, including time as a country estate, the site of troop encampments during the Civil War and of course as a key U.S. Army intelligence support facility," Moore said. "Its transformation from a military facility to a civilian community centerpiece began nearly a decade and a half ago when the VHEDA was formed. We're honored to be the ones who will oversee the remainder of the property's evolution and blossoming into a local treasure with global appeal." Follow Vint Hill's progress online at http://www.vinthill.com. Vint Hill is one of the premier business locations in the Washington, DC area. It offers a diverse base of affordable commercial real estate — including land, office space or warehouse space — and new projects for sale or lease. The Vint Hill area offers a highly skilled workforce and balances quality of life with easy access to the nation's capital, Northern Virginia, and Washington Dulles International Airport. Join the Federal Aviation Administration, Rockwell Collins, Old Bust Head Brewery and more than 60 other businesses in a planned, mixed-use community. Learn more at http://www.vinthill.com.